Charging, watching, and listening hands-free at eye level — that’s the beauty and function of Twelve South’s HiRise Deluxe for iPhone and iPad. It’s made from sleek, sturdy steel to complement Apple’s own design. 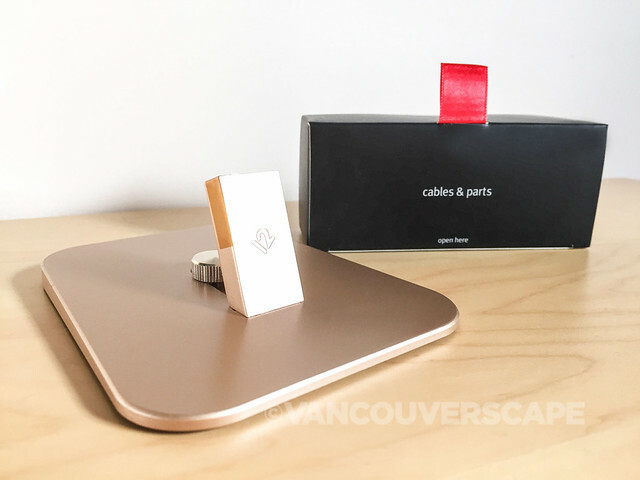 Twelve South, a small US-based company in business since 2009, creates gorgeous accessories for Apple fans. Some of you might know the brand from their cheeky BookBook for iPad, a handmade, hardback leather case that opens like a bound book including a built-in display and typing stand. Drawing inspiration from their HiRise for MacBook, the machine dial on the HiRise Deluxe allows for simple, one-handed adjustment of the rear support panel when switching cases or devices. Unique to HiRise Deluxe is a chamfer detail surrounding the base that adds more dimension and style to an already cool-looking stand. Compared to the regular HiRise, the Deluxe comes with most of the assembly in place (a comparison between the HiRise and HiRise Deluxe can be found here). 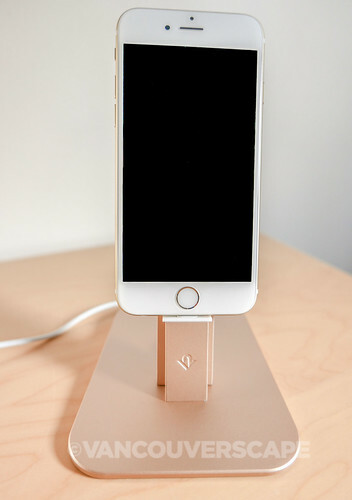 HiRise Deluxe includes both MFi-certified Lightning and micro-USB cables. This is great news for those of us who like carrying the lightning cable around airports, offices and cafes for charging top-ups. You can leave this one docked at home with its stand. 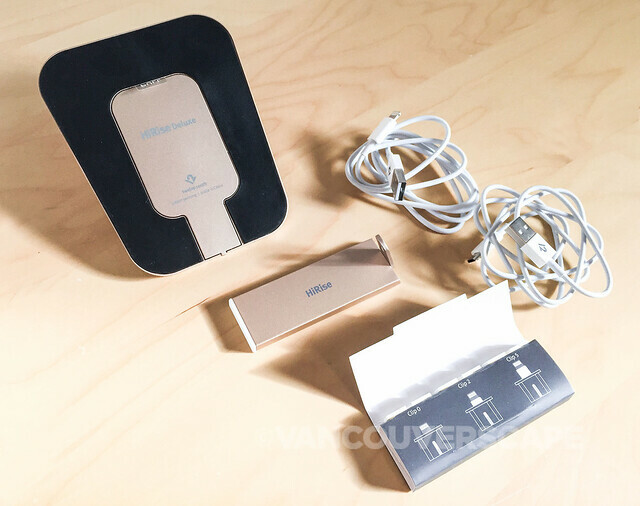 The micro-USB cable will work with a Mophie case when it gets attached to the HiRise. Having your iPhone or iPad mini elevated by HiRise means you can FaceTime or Skype hands-free. 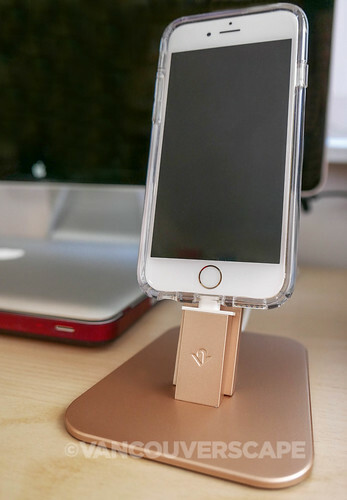 Because HiRise lifts your iPhone off a table or desk, it doesn’t block or muffle the microphone or speakers. Watch sports recaps, weather alerts or check notifications without having to constantly pick UP your iPhone. This may sound like a First World Problem, but once you have it set up and can focus on other ‘stuff’, it becomes a pretty handy accessory. In the kitchen, hook up an iPad Air or mini and work through a recipe at eye level. One of best features of this little stand is that it adjusts to fit so many cases. 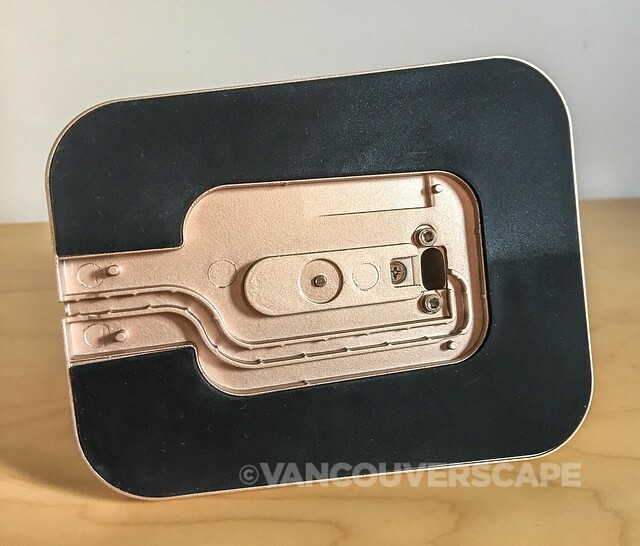 The rear support on HiRise slides back and forth to support protective cases, minimal shells or no case at all. Before setting out to purchase a HiRise, check out the fit guide test to see whether your case will work. 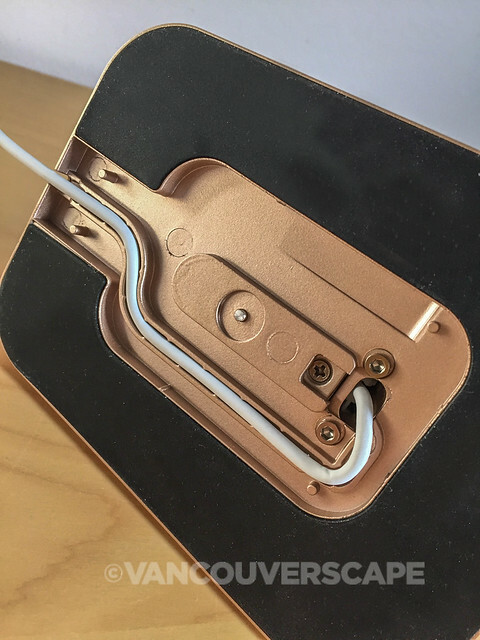 Each Lightning cable clip has a number imprinted on the bottom of the clip, representing the additional height it will provide your Lighting cable if using HiRise with an iPhone and a case. Additional height is measured in millimeters. 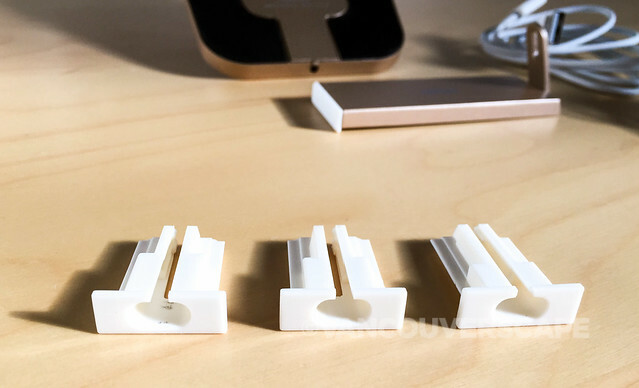 While clip 0 sits flush agains the connector, clips 2 and 5 raise it slightly above the base. The pieces are smartly constructed for a perfect fit and I had my HiRise up and running within five minutes of opening it out of the box. I’ve currently a Speck CandyShell Clear on my gold iPhone. These photos compare the HiRise with and without a case on them to show the difference in how they’re connected to the base. The CandyShell uses clip 5. 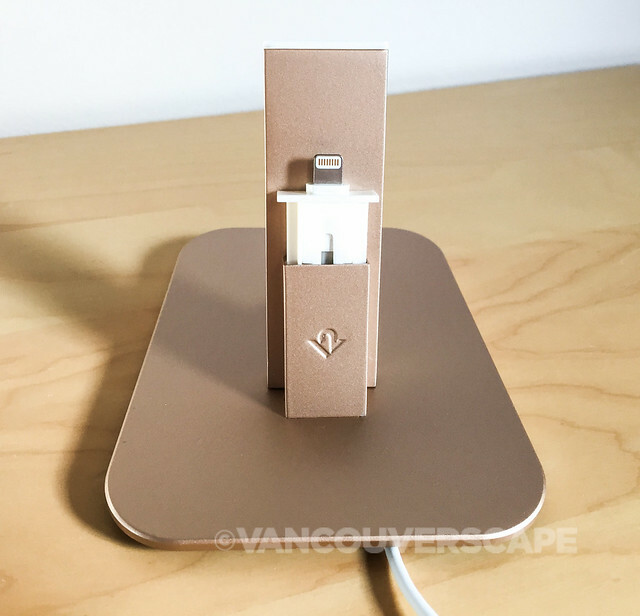 Twelve South’s designed a range of beautiful products for iPhones, iPads, iWatches (just released), MacBooks, iMacs as well as a few chargers and audio accessories. 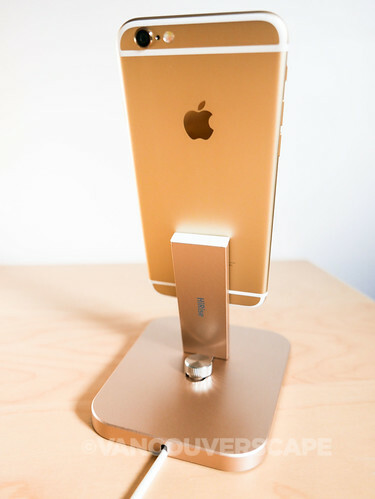 HiRise Deluxe for iPhone and iPad mini (US $59.99) is available in silver, gold and black match your iOS device. 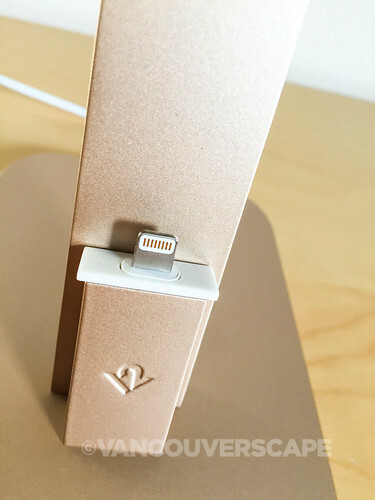 The original HiRise (US $34.99) is available in both silver and black, and exclusively uses the Apple Lightning cable that came with your iPhone or iPad mini (not included). Shipping’s free within the US; the Deluxe is also available in Canada at London Drugs for $74.99.